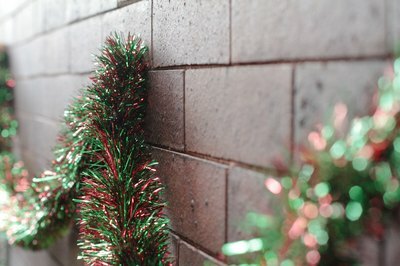 Make a Christmas display of garland anywhere, even on a brick wall or mantle. 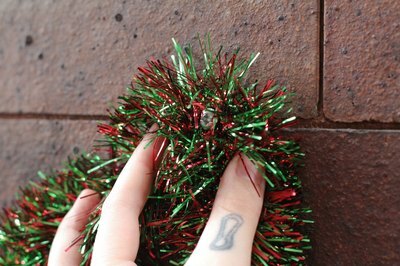 Hanging garland from nails is the easiest way to add holiday décor to your home, but if your home has a brick exterior, you know that nails will not penetrate, and glue does not hold. 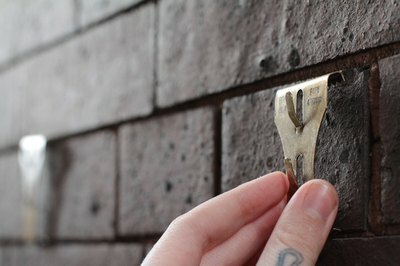 You can solve this problem by investing in brick clips found near the Christmas decorations at hardware stores. Designed for holding Christmas lights, they also adapt well to hanging garland. 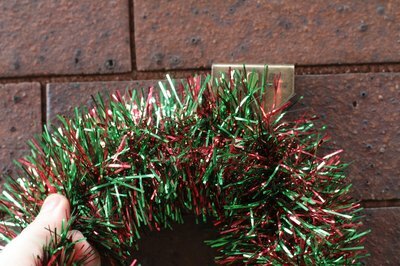 Place the bottom, narrow edge of the brick clip underneath the brick you want to hang the garland. 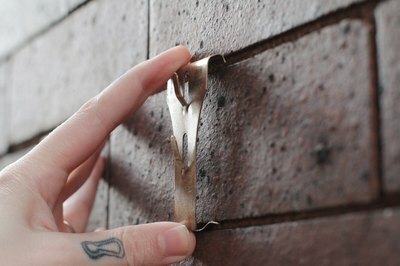 Press your thumb or a flathead screwdriver against the bottom edge of the brick clip and pull the top edge over the brick. 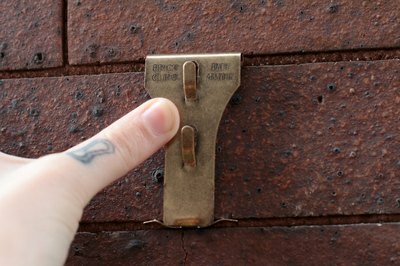 Push the clip against the wall so it sits flush against the brick. Repeat attaching the clips to the wall every 1 to 2 feet until you have spanned the area you want to hang your garland. Hang the garland from the hook on each one of the clips. 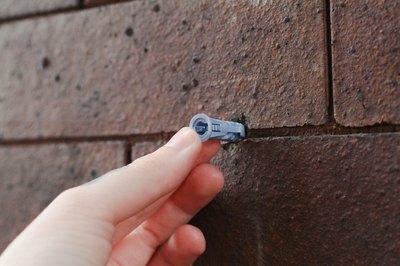 Drill holes in the brick with a masonry bit attached to the end of a drill. Insert plastic expansion fittings into the drilled holes. Hang the garland from the plastic expansion fittings for a more permanent way to showcase Christmas decorations. 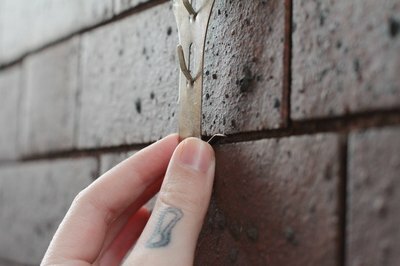 Use expansion fittings if you do not mind drilling holes in your brick, or if you cannot find brick clips.